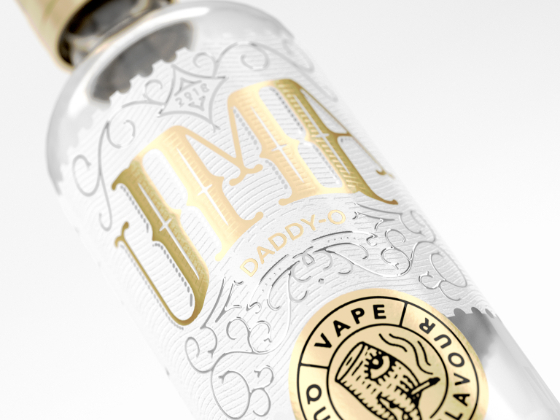 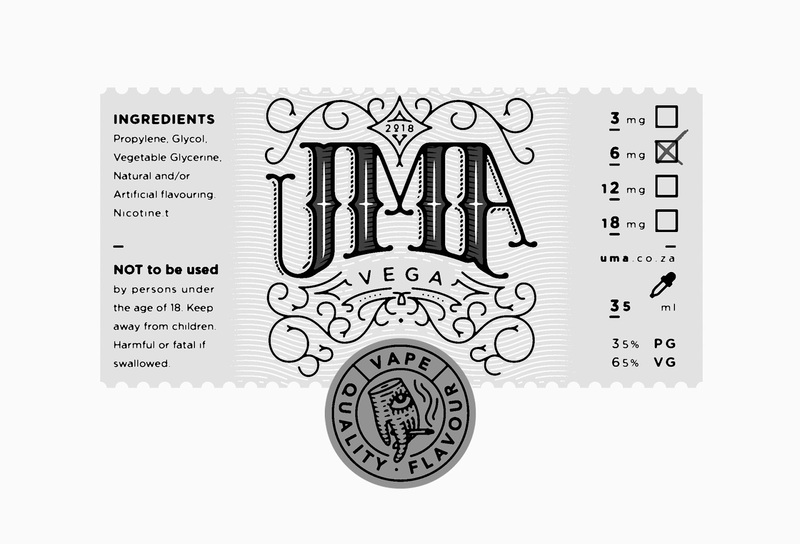 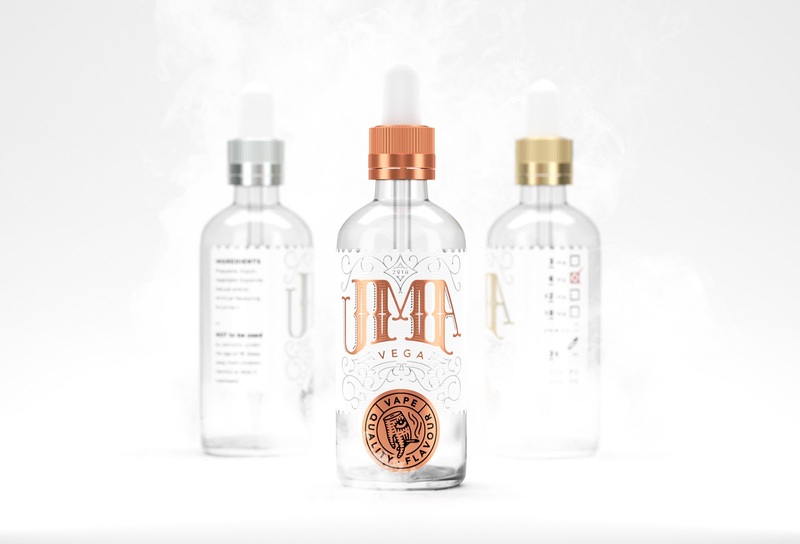 Electronic cigarettes or e-cigarettes have become popular lately and even though I don't smoke I was excited to work on this brand for UMA e-liquids. 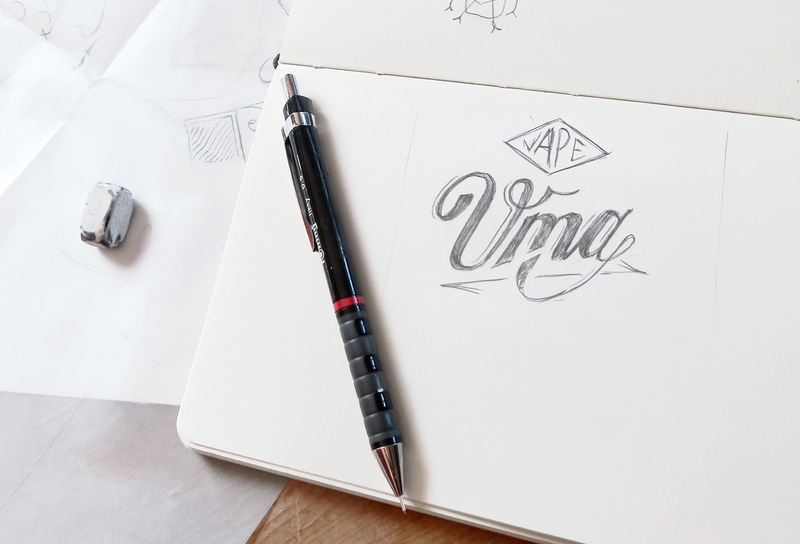 Since it's a new product I had total freedom to create the visual language and design style. 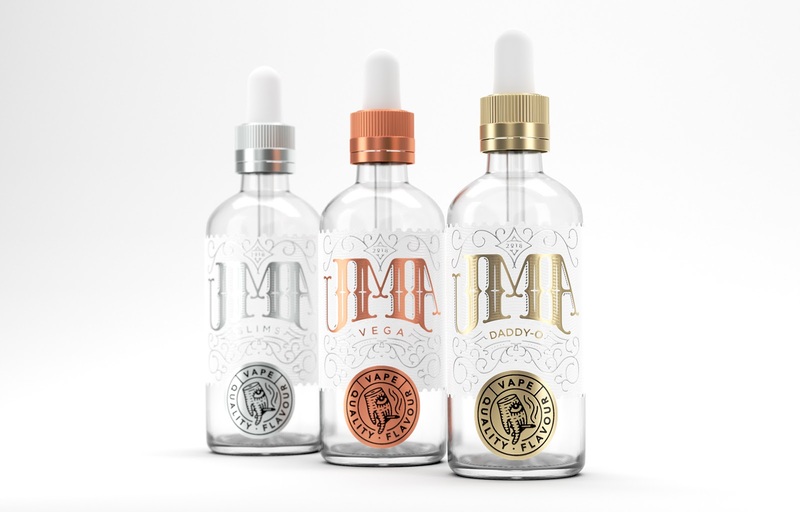 The vape liquids come in all kinds of different flavours so the packaging needed to be versatile and on a shoestring budget I decided to use stickers and different foil colors to differentiate them. 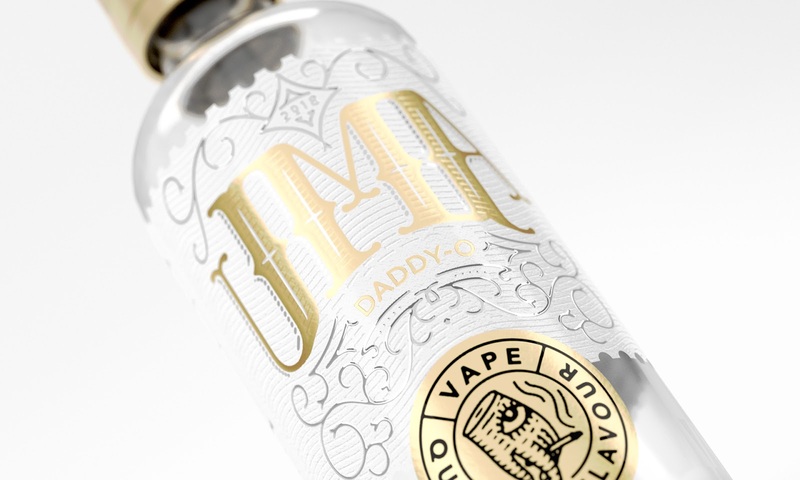 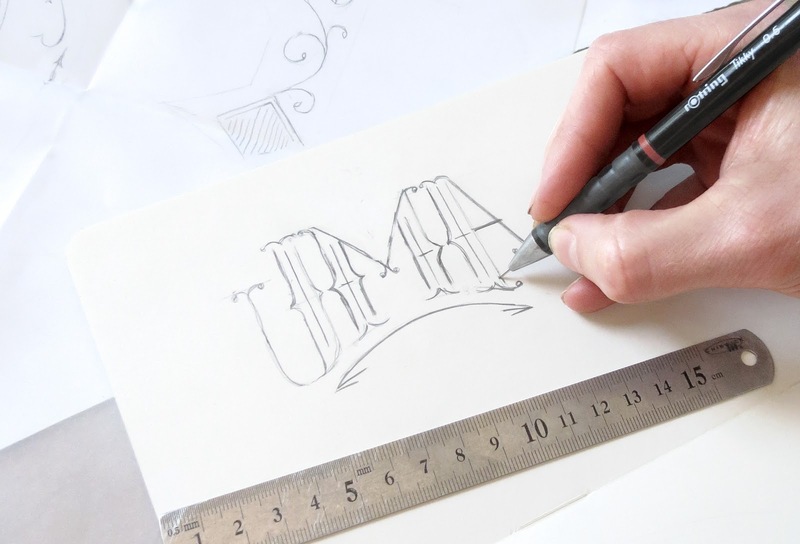 It gives it a premium feel while keeping production costs down and adds a textile feeling to the product along with the raised inks and embossed paper giving it a handcrafted look. 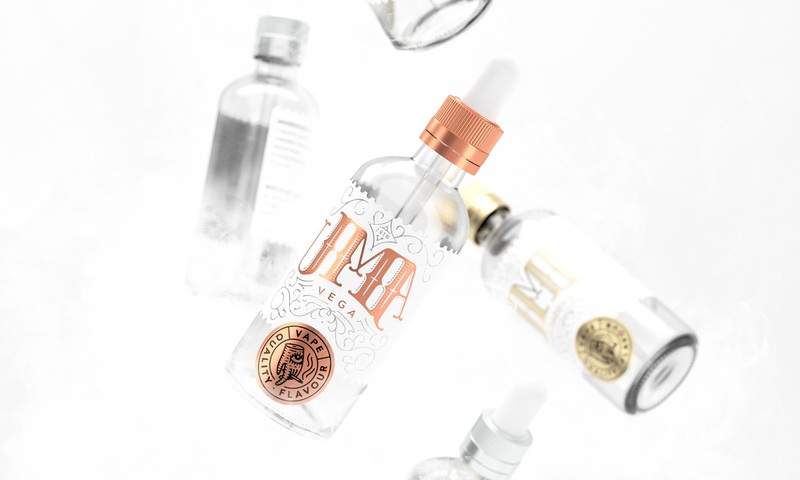 The unusual bottle also peaked my interest in the design and I tried to highlight this aspect of the packaging by incorporating the colors into the product itself.